Infotainment gaming focuses on new performance classes , the latest graphics codecs, and higher resolutions supporting , as well as intelligent middleware , and security features set to secure business critical missions at the same time entertain end users. 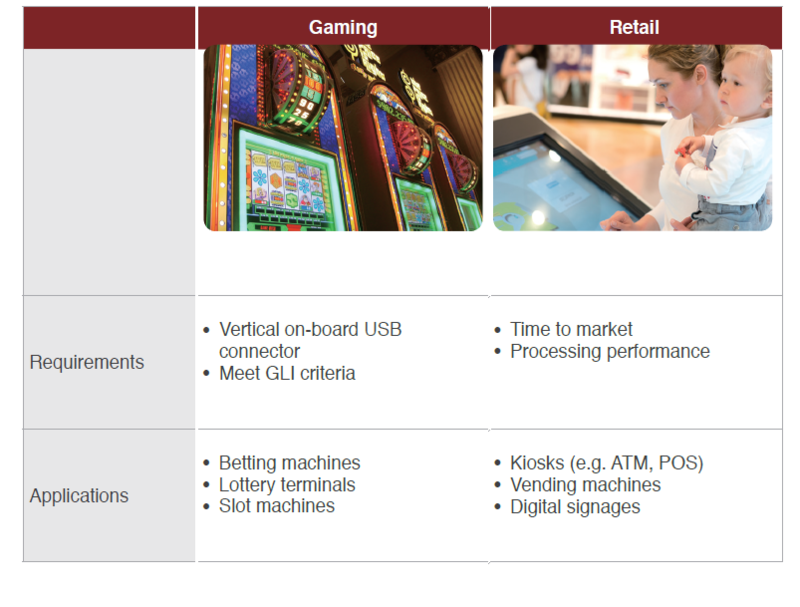 ADLINK Infotainment solutions are ideal for gaming and retail services including ATMs, floor plan guides, lottery & slot machines and supermarket self-service kiosks. ADLINK Mini-ITX embedded boards provide flexible connection possibilities for system integrators to link and manage multiple peripherals to meet application needs. Video lottery terminals and slot machines must sustain continuous operation, meaning hardware stability and ease of maintenance become essential. 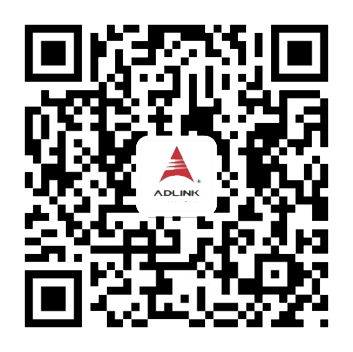 ADLINK's extensive experience and capabilities in hardware design and software development combined with our self-owned manufacturing base allows us to provide reliable products of superior quality for different solutions. In the retail environment, multimedia digital signage that combines entertainment and information is one of the best ways to communicate with consumers. Intelligent display panels powered by ADLINK Mini-ITX embedded boards can be installed above checkout counters or in other suitable locations. Supermarket self-service kiosks are stand-alone terminals which integrate environment information, promotional products, membership management and other relevant data through interactive multimedia communication.